Broadband provider Alamo tells court it has a free-speech right to exercise editorial discretion over the Web. 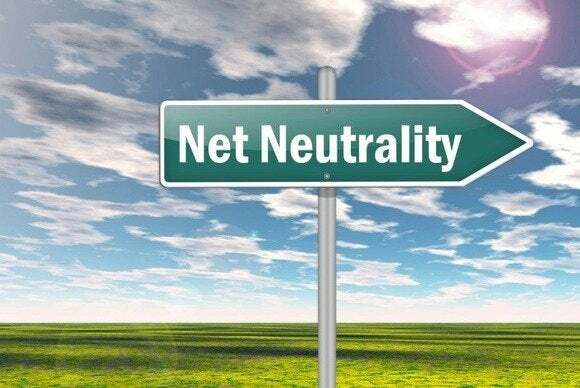 The U.S. Federal Communications Commission’s net neutrality rules violate the free speech rights of broadband providers because the regulations take away their ability to block Web traffic they disagree with, one ISP has argued. The FCC’s net neutrality rules take away broadband providers’ First Amendment rights to block Web content and services, ISP Alamo Broadband argued to an appeals court this week. While not a new argument for ISPs, it’s a curious one, given that most broadband providers have argued the regulations aren’t needed because they promise never to selectively block or degrade Web traffic. The FCC rules violate the First Amendment because they prohibit broadband providers’ ability to engage in political speech by “refusing to carry content with which they disagree,” wrote lawyers for Alamo Broadband, a small wireless ISP based in Elmendorf, Texas. Broadband providers, by carrying their own and other Web content, have the ability to “exercise editorial discretion,” wrote lawyers with Wiley Rein, a Washington, D.C., law firm. The FCC rules, which went into effect in June, prohibit broadband providers from charging fees to prioritize some Web traffic. The paid prioritization rule “prohibits broadband providers from elevating their speech over others’ and selling the ability to prioritize some speech over other speech,” Alamo’s lawyers wrote. AT&T and Verizon Communications have both made similar free speech arguments against the FCC’s net neutrality rules in recent years, with AT&T making a First Amendment argument against the rules as recently as May. “Congress never envisioned entrusting the FCC with the extraordinary authority that the (regulation) purports to exercise or subjecting the Internet to intrusive, central-planner-style oversight,” those groups said in their brief, filed Thursday. The FCC’s net neutrality rules are facing court challenges in the U.S. Court of Appeals for the District of Columbia Circuit from 11 plaintiffs, including four ISPs, six trade groups, and voice over IP entrepreneur Daniel Berninger. Alamo and Wiley Rein didn’t immediately respond to requests for comments on their brief. But Berninger, who filed a joint court brief with Alamo, said the First Amendment arguments may resonate with judges who otherwise have a limited understanding of the technical details of the case. No ISP is saying it wants to “edit” Web content, Berninger added. Digital rights group Free Press blasted this week’s court filings by the plaintiffs. The filings represent the “same flimsy legal arguments broadband providers have been putting forth for more than a decade,” Matt Wood, Free Press’ policy director, said by email.